Some eye problems are temporary and resolve themselves; others are long-term conditions that need to be managed with the help of your eye doctor. Below is a list of common terms you’ll hear at your eye doctor. If you have questions or concerns about your eyes, contact your eye care provider. Auras often precede or accompany migraine headaches. They may appear as light, wavy lines and other distortions. They are temporary and may be in one eye or both. Bloodshot eyes (also called red eye), May be caused be allergies, infection, dry eye, broken blood vessels or inflammation in the eye. If accompanied by pain or discharge, a visit to the eye Dr. is necessary. Most commonly caused by refractive error or the need for glasses or contacts. Blurry vision that lasts a short time is typically caused by dry eye. Overuse of computers or other electronic devices can fatigue the eyes, temporarily limiting their ability to focus. Staring at a computer tablet and smartphone reduces the blink rate and engages the eye muscles which can cause eyestrain, headaches, blurry vision and dry eyes (also called digital eye strain). Taking frequent breaks and using artificial tears every 20 min can help avoid discomfort. A scratch to the outer layer of the cornea can be caused by rubbing the eye or a foreign body like sand or dirt. If you feel a foreign body sensation with redness and light sensitivity, rinse the eye with saline or water. Contact your eye Dr. Double vision (also called diplopia) happens when the eyes are registering separate images of the same object, rather than a single image. It can be temporary, resulting from an injury or fatigue, or more serious. It should always be checked out by a professional. If double vision is accompanied by numbness, weakness, speech and language problems, vertigo or trouble keeping your balance, contact your Primary care doctor or report to the ER. Some eye problems stem from bacterial or viral infections, which cause inflammation in various parts of the eye. If there is a particular part of your eye that seems swollen, sore or otherwise irritated and it doesn’t go away after a day or two, check with your doctor. Bacteria that normally lives on the skin of the eyelids can overgrow. This can cause redness, irritation, itching and dandruff-like residue on the eyelids. Good cleaning of the eyelashes and lids as well as warm compress can help avoid flare–ups. Your conjunctiva lines the eyelid and covers the white part of your eye. When it becomes inflamed or infected, the blood vessels in your eye are easier to see, giving your eye a pink appearance. This is commonly referred to as pink eye. There are three common causes, bacterial, viral or allergic. Only a doctor can determine the proper treatment. Bacterial keratitis is an infection of the cornea. It can cause light sensitivity, vision changes, swelling and pain. Viral keratitis can be caused by either the herpes simplex or herpes zoster viruses. Fungal keratitis (although rare) is possible if the eye has been in contact with vegetative matter such as branch, dirt or leaves. (Chalazion) swollen oil gland in the eyelid that is infected causing pain, swelling, redness of the lid and sometimes discharge. Warm compress is the best treatment and must be applied several times a day. The uvea structure in your eye contains the iris and surrounding tissue. Uveitis is inflammation of the uvea, and can cause redness, pain and blurred vision. Commonly associated with autoimmune condition such as arthritis, sarcoid, lupus etc. Some eye conditions are inherited; others are results of disease or injury, and some are a fairly normal part of aging. If you have any chronic eye condition, make sure you keep your eye doctor apprised and follow his or her suggestions for checkups and monitoring. The shape of the eye is rarely perfectly spherical or round. This requires corrective glasses or contact lens to focus the light to accommodate an imperfect sphere. The natural lens of the eye is always changing. Through time and exposure to light, the lens becomes cloudy. When this cloudy lens limits the vision, Cataract surgery can be performed to remove the cloudy lens and replace it with a clear artificial lens implant. When a person is unable to tell the difference between two colors, often red and green, he or she is said to be color-blind. More men than women are affected by color vision deficiency. When a person’s eyes point in differing directions, they are said to be “crossed.” Strabismus is generally a symptom of poor tone in the muscles surrounding the eyes. Treatment ranges from corrective eyeglasses to vision therapy, or even surgery. Diabetes affects the small blood vessels throughout the body including the eyes. Diabetic retinopathy start as a breakdown in the small blood vessels causing them to leak. In some cases, this leakage can cause swelling and damage to the retinal tissue causing vision changes. If not treated, these vision changes can become permanent. When light focuses behind or in front of the retina the result is blurred vision. Correction for these condition is possible with eyeglasses or contact lenses, or LASIK surgery. When one or both eyelids droop, it can limit peripheral or side vision. Most commonly caused by aging, nerve damage, weakness of the eyelid muscles or an injury. 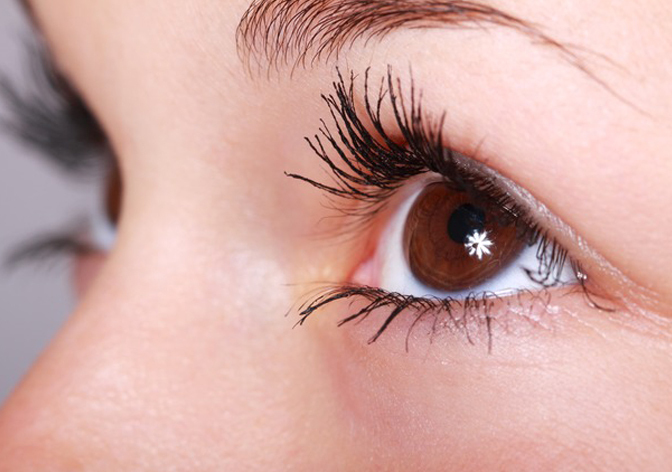 An eyelid surgeon can evaluate to determine corrective action. Dry eyes can be caused by the environment, aging, medications, abnormal lid position or certain systemic diseases. If an individual has a prolonged inability to produce enough high-quality tears, it can result in blurred, unstable vision, discomfort or sharp pain, redness and irritation, and even tearing. Several over the counter artificial tears are available. Always look for moisture drops and never use eye drops for redness relief. Small, moving dark speck out of the corner of your eye that moves when you move your eye is called a floater. Floaters are caused bits of the shrinking vitreous gel material in your eye cast shadows on the retina. Usually, no treatment is needed. However, a sudden increase in floaters, or lightning storm of flashes lights can be more serious and needs to be evaluated by an eye doctor. A disease of the optic nerve that has no symptoms in most cases. It is important for everyone to have periodic eye exams to evaluate for Glaucoma. Glaucoma is more common with increasing age and can hereditary. Simple, painless glaucoma tests are part of every eye examination and involve checking the eye pressure and evaluation of the optic nerve. This occurs when lights at night seem to be surrounded by “halos,” or smudge or blurry circle around light. Uncorrected refractive error (nearsightedness, farsightedness, or astigmatism), cataracts, swelling from recent surgery or infections are common causes. Also known as amblyopia, this condition is caused due to underdevelopment of the visual system in one eye. Depending on the cause, treatment may be possible if the condition is identified at an early age. The macula is at the center of your retina, and responsible for 20/20 vision. If the highly specialized seeing celled in the macula become damaged, the vision loss is often detected in difficulty with small print and difficulty adapting to changing lighting conditions. Treatments are advancing all the time and while there is no cure, wet macular degeneration has some treatments that are quite effective and dry macular degeneration treatments center around nutrition and vitamin supplements. Remember, although some eye problems are temporary, and can resolve themselves; others are long-term conditions that need to be managed with the help of your eye doctor. If you have any questions about your vision or potential eye problems, contact us today.